For those who may still have lingering doubts about the IRM’s case, we invite you to read below some extraordinary claims made by H. H. Prahladananda Maharaja (henceforward ‘Maharaja’), who is a GBC-approved initiating guru, and thus these revelations come from a source which the GBC itself promotes as being authoritative. "Unfortunately, since the departure of Srila Prabhupada, the GBC Body has not maintained his clear authority structure. […] In the absence of a GBC Body that clearly represents the desires of Srila Prabhupada to preach Krsna consciousness as a unified movement, the Society remains together more on the basis of a loose confederation of initiating gurus and independent local leaders, than as a unified movement of surrendered servants." According to Maharaja then, the GBC has deviated continuously since Srila Prabhupada's departure in having never maintained the authority structure given by him, and currently does not represent Srila Prabhupada's desires for spreading Krishna consciousness. "Such an uttama-adhikari Vaisnava is in perfect touch with the Supersoul and at every moment knows the Supreme Lord's desires." "If the GBC Body sees someone as a self-effulgent acarya who is completely aware of the Supersoul and Srila Prabhupada's desires and instructions they can and should follow his/her instructions. No one so far has been seen in that category." "To spread Krsna consciousness in the absence of an advanced uttama-adhikari Vaisnava, third-class and second-class Vaisnavas must follow the instructions of Srila Prabhupada and learn the art of cooperation." The imitation of uttama-adhikaris by these neophyte devotees undoubtedly led to their fall-downs and many subsequent problems in ISKCON." Maharaja is referring here to the Great Guru Hoax Part 1, wherein the 11 persons appointed to act as ritviks and make disciples for Srila Prabhupada, pretended that they were actually successor Gurus to Srila Prabhupada. "Thus in ISKCON we not only still have what amounts to zonal Acaryas in different parts of the world, such as India, but we have independent temple presidents or preachers accountable to no one but themselves." 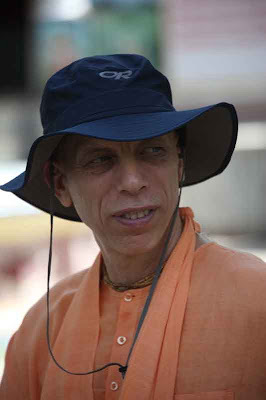 "The main problem is that the GBC Body is supposed to supervise ISKCON and they are not doing this service adequately. Therefore, many leaders are not acting strictly according to the directions of his Divine Grace." "Presently the GBC Body lacks authority. Some of its leading members are initiating gurus who do not want to surrender their high degree of autonomy in the Society. Some leaders in ISKCON cooperate with the Society only as long as they can retain their own autonomy. [...] If the GBC Body is to regain its authority, its members must become a disciplined body of devotees who are clearly selfless and enlightened in their dedication to Srila Prabhupada's mission." Above, Maharaja paints a grim picture of self-serving gurus whose calculated acts of co-operation are merely Machiavellian ploys to secure more autonomy and power for themselves, rather than to selflessly serve Srila Prabhupada's mission. Only if the leaders sincerely try to become servants of the previous Acaryas and give up the controlling and enjoying propensities can Srila Prabhupada's mission succeed. If the leaders take up this mood, they will find infinitely more spiritual pleasure in acting as Krsna's simple instruments than in continuing even a subtle controlling mentality in trying to be appreciated as apparently empowered spiritual preachers." Maharaja's use of the phrase "If the leaders take up this mood" indicates a hope that the gurus may one day curtail their "controlling and enjoying propensities". But why would he express such a hope unless he saw that this was predominantly their current mood? Why would Maharaja urge the gurus to give up such destructive propensities unless he could see them being exhibited? It is an attachment that is difficult to give up." Seeing as Maharaja then went on to invite ISKCON'S gurus and leaders to become selfless and give up their propensity to control and enjoy (which is fed by the receipt of worship and service by their thousands of disciples), one can only assume Maharaja believes they have indeed fallen victim to maya's "last snare". ISKCON's success appears to be due more to circumstances than to a viable management system that encourages long-term preaching. Another example can be seen in India, […] again it is likely that success is due not to a viable management system, but to the unique circumstances of India." 1) "Srila Prabhupada has given us the authorization process, that all his disciples, if authorized by the GBC Body, can take disciples." Srila Prabhupada has never stated that "all his disciples, if authorized by the GBC Body, can take disciples." The unauthorised, current 'guru by majority vote' system was invented by the GBC as a reaction to their previous unauthorised 'zonal acharya system'. 2) "Srila Prabhupada created the GBC Body to oversee that his teachings are properly implemented within ISKCON. These teachings direct that everyone in ISKCON, including initiating and instructing gurus, work cooperatively under Srila Prabhupada's authority system to spread Krsna consciousness." 3) "Srila Prabhupada clearly established ISKCON's system of management with Temple Presidents, Secretaries, and Treasurers, under the supervision of a GBC representative and ultimately the GBC Body. 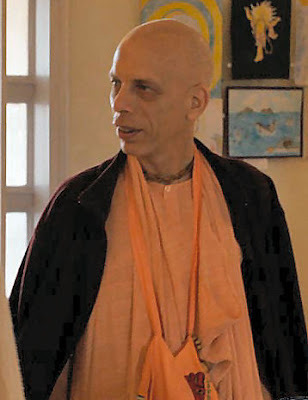 He gave no managerial position to the initiating gurus within ISKCON." Yes, Srila Prabhupada could not have given a "managerial position to the initiating gurus within ISKCON", because he never ever even spoke of a plurality of "initiating gurus within ISKCON", period. Who in their right mind is going to want to join such a movement?! Being compromised himself, Maharaja argues that the solution to everything is simply to make the GBC much more powerful, rather than root out the underlying cause of the problem, namely severe disobedience to Srila Prabhupada; all stemming from the unauthorised removal of him as the diksa Guru of ISKCON. We have noted that Maharaja obviously cannot identify the real cause of ISKCON's malaise, since he himself is the beneficiary of its false guru system. He therefore needs to perform a juggling act which allows him to criticise all and sundry, but still ensure his own position remains intact. As we have seen, to do this he has simply fabricated the authority for ISKCON's current 'guru by GBC vote' system, to which he owes his own guru existence, out of thin air. 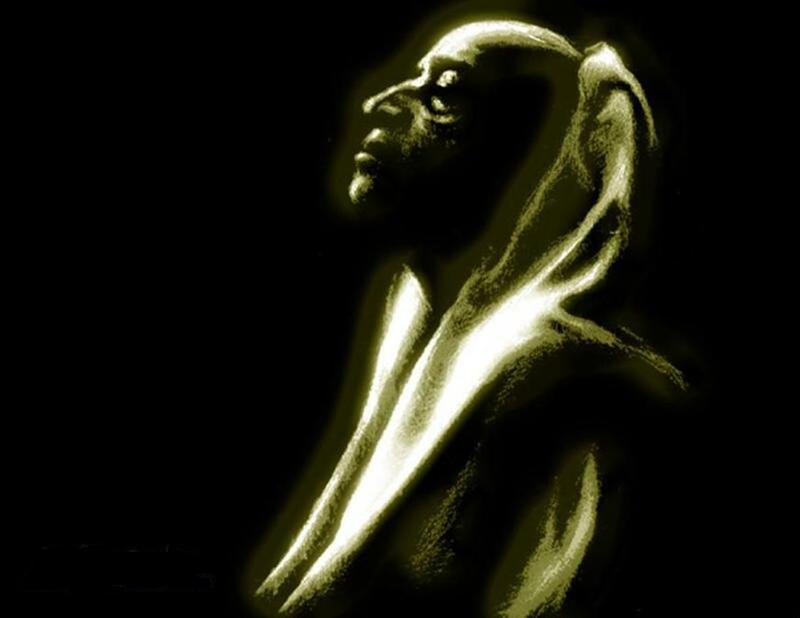 Though Maharaja's critique of ISKCON is welcomed, by failing to state the correct solution of accepting Srila Prabhupada as the Guru, but rather continuing to offer the same unauthorised and, by his own admission, unqualified gurus, he is simply ensuring the continued exodus from ISKCON into other deviant movements, such as the one led by Narayana Maharaja, which at least claim their gurus are qualified!